A CNRS research fellow since 2001, Blandine Ripert is an ethno-geographer and her research is focused on contemporary dynamics in Nepal and India, which she approaches from a spatial, social, cultural, political and religious point of view. In particular, she has taken an interest in the impact of the globalization process on this rural population (Ph.D. in 2000 at the Université Denis Diderot-Paris 7, under the direction of Olivier Dollfus) and in the Christianization process of a Buddhist population group in central Nepal (among the Western Tamangs, in the Nuwakot, Dhading and Rasuwa districts). 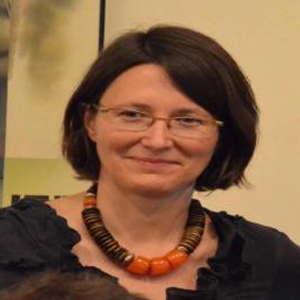 She has also worked on questions regarding management and appropriation of natural environments and the transformation of landscapes in Nepal and in the Alps (Parc des Écrins), as well as on the effects of the dissemination of agricultural innovations in a context of agrarian and political transformations in central Nepal, but also on conflicts surrounding appropriation of space (environmental policies in Nepal, and short-term fieldwork in north-eastern India in the vicinity of the Kaziranga National Park). Her research has also taken an interest in the dissemination and impact of new information and communication technologies in India (fieldwork in Tamil Nadu in the vicinity of Madurai as part of a post-doctoral fellowship in 2001/2002 at the Institut français de Pondichéry, then in Bombay in 2003 with ACI funding). More broadly speaking, Blandine Ripert is interested in localized cultural and religious transformations in a context of globalization, and she approaches these questions by studying acculturation processes. She was co-director of the Center for South Asian Studies (CNRS-EHESS) from January 2010 to December 2013, as part of an executive board that also included Loraine Kennedy, Aminah Mohammad-Arif, and Stéphanie Tawa Lama-Rewal. 1. Letizia Chiara, Ripert Blandine (in preparation), “Not in the name of religion: a Supreme Court verdict on animal sacrifice in Nepal“, in Daniela Berti & Anthony Good (eds. ), Animal Sacrifice on Trial: Cases from South Asia, Cambridge University Press. 2. Bruslé Tristan and Ripert Blandine, 2016, “Le Népal en 2015: de crise en crise“, Asie, Mondes émergents, Documentation Française. 4. Ripert Blandine, 2014, “Improbable Globalization: Individualization and Christianization among the Tamangs of Central Nepal”, in Toffin Gérard and Pfaff-Czamecka Joanna (eds. 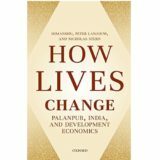 ), Globalization, Belonging and the Politics of the Self in the Himalayas, Delhi, Sage. 5. Ripert Blandine, 2014, “Redefining Belonging and Bonds to Territory: Multiple Forms of Mobility and Itineraries among the Tamangs of Central Nepal“, in Smadja Joëlle (eds. ), Territorial changes, territorial restructurings in the Himalayas, Delhi, Adroit Publishers.